Books! Who doesn't love books? Now, you can shout your love to the high heavens—or at least to a room in your house—with this adorable Penguin Classics wallpaper. 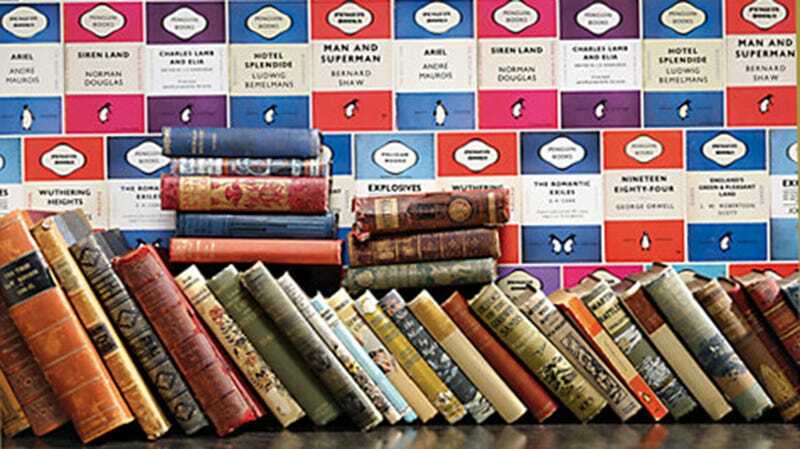 I love this idea because many book jackets are so artfully done—especially the classics. These tiles are based on a modern classic: the 1961 jacket design by Dutch typographer Jan Tschichold, whose iconic monochromatic design is still widely loved today.